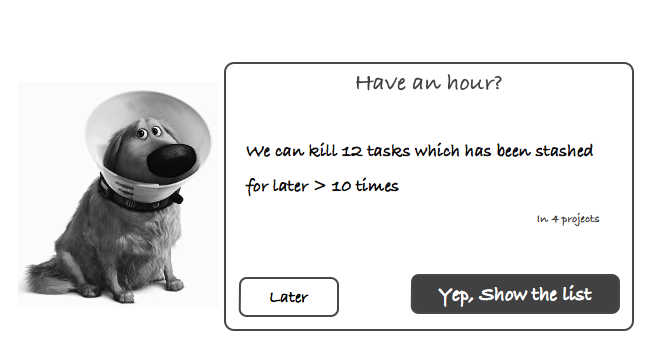 Task management app with little twist. 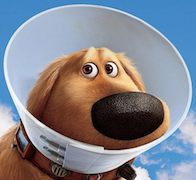 Yep, Dug instead of clippy while nagging. 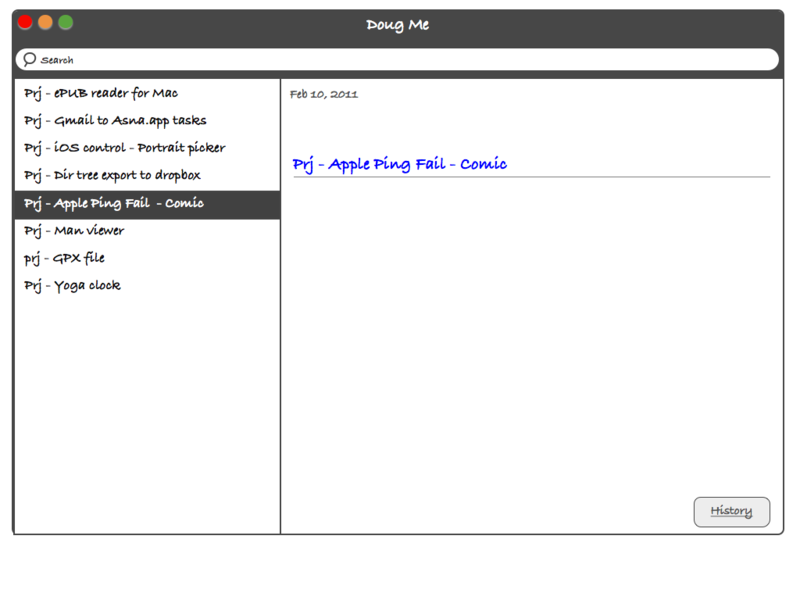 Idea is to log all our project ideas similar to logging notes in nvALT. This app runs in the background and randomly nag you to split a one line task you had logged earlier to multiple small tasks. 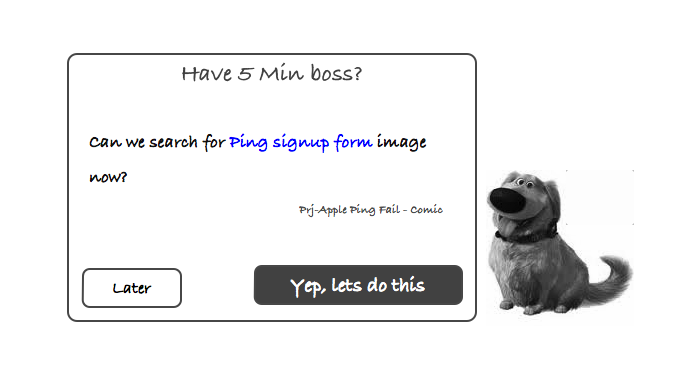 For instance, consider the one line definition of a project is “Apple Ping Fail comic”, one fine day Dug will alert you to split the tasks if possible. Some time later Dug present one of a sub tasks to define no. of minutes required to complete the task. Say you add 15, 5 and 10 respectively. 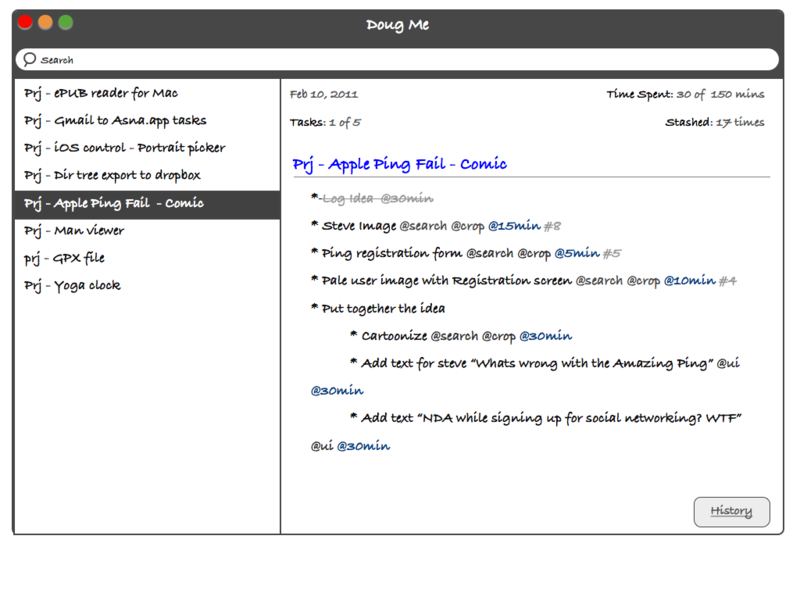 When you are idle on your computer, Dug will give you a random subtasks to take an action.